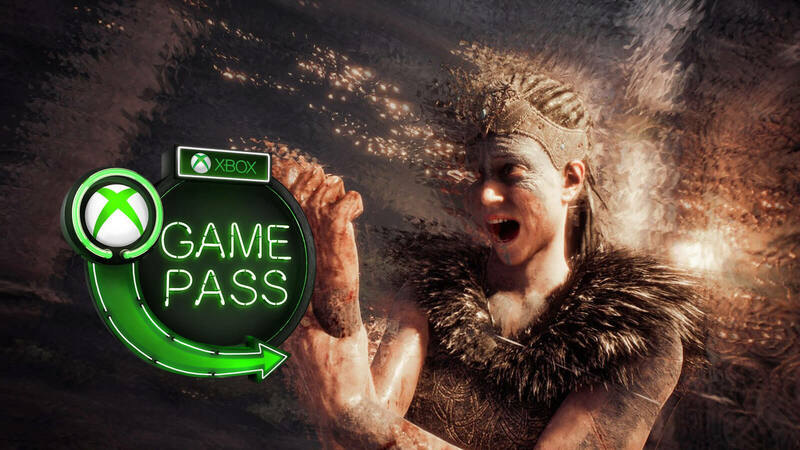 In the aftermath of The Game Awards 2018, games like Hellblade: Senua's Sacrifice and Mortal Kombat X is added to Xbox Game Pass. 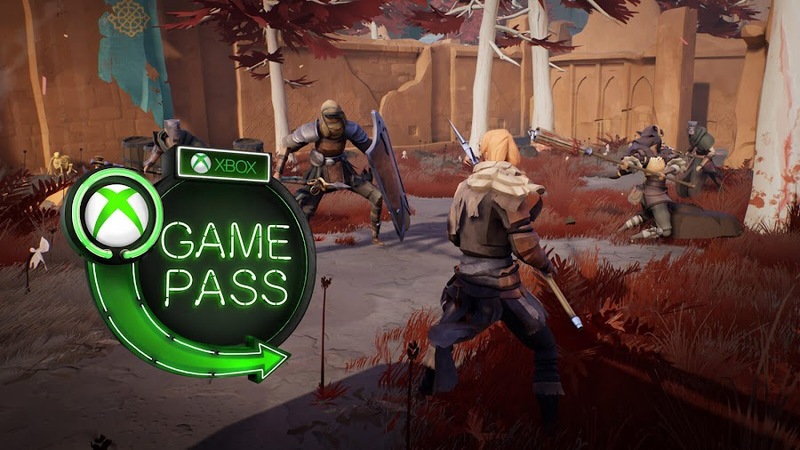 During the X018 Event, we had an announcement of what great titles are heading to Xbox Game Pass in near future and we got some excellent lineup. Apparently, Microsoft is about to drop a few more games for December, 2018 to keep you hooked. Even though there are already over 100 great games for the members of the service, you can never have enough and can't say no to some more. The grand stage of The Game Awards 2018 has recently ushered some really good titles, so you can get the most out of your membership. The array of new games coming to subscribers has genres like adventure, fantasy, first-person shooter, platform, role-playing, side-scrolling and sports simulation covered. This is an almost complete package to keep you at home this winter. A surprise entry from the legendary Mortal Kombat fighting game series joins the fray to keep up with the announcement of upcoming Mortal Kombat 11. The entire line of nine games will start arriving from December 7 and will continue till 20. One of the Xbox-exclusive that comes on Xbox Game Pass right on the day of its release date and you won't want to miss it. This one is a co-op action RPG set in an open world that you can play solo or in a passive co-operative multiplayer. Although based on a Dark Souls type of gameplay mechanics, it doesn't get that brutal in every corner but sure to astound you anyway. 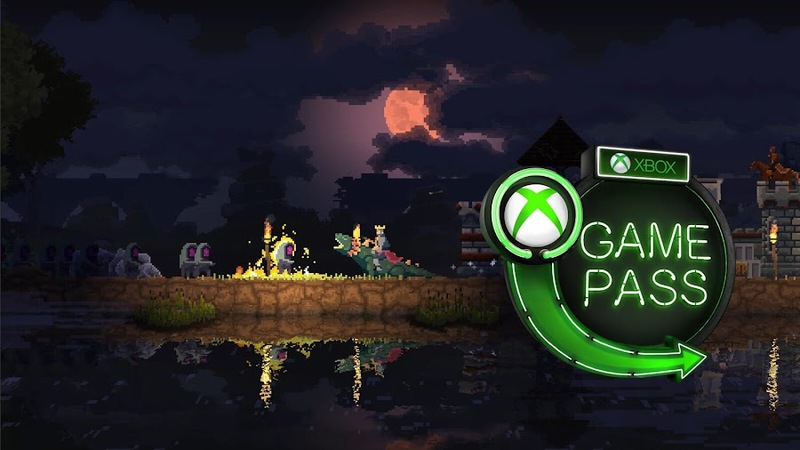 Players enter in a world where there is no sun and fights all sorts of in-world monsters to get to home. Just like the namesake suggests, the game takes you to a journey into a series of subterranean mazes, where the player character encounters cunning enemies and death-traps while constantly on chase from an unknown shadowy entity. Below is a perfect throwback to the playing from arcade days on a highly detailed retro-style background. Capybara Games did a fantastic job to cram down all of it into one and devised a mechanism that punishes you for foolishly reckless attitude and challenges you in almost every step as you progress. Playing as Senua in this psychological horror title, you will realize why developer Ninja Theory has described it as an independent AAA game. The creative prowess of the development team has led it to become both commercial and critical success. Take on the brutal journey of a Celtic warrior in the Viking age, looking for the soul of her dead lover and fight her way into the Viking Hell to get what she wants. While fighting all the otherworldly entities to get to Hela, she also deals with her own psychosis. This indie title from Raw Fury is coming over to the service on December 11, with choices for players to go on solo or co-op campaign mode to build a kingdom and then defend it from all outside threats through a new gameplay system. This return to the award-winning Kingdom series lets people to explore new technology, fight new enemies and discover secrets as they assume the role of a monarch. For a true ruler to inherit the kingdom, one must learn to overcome Greed at all cost. 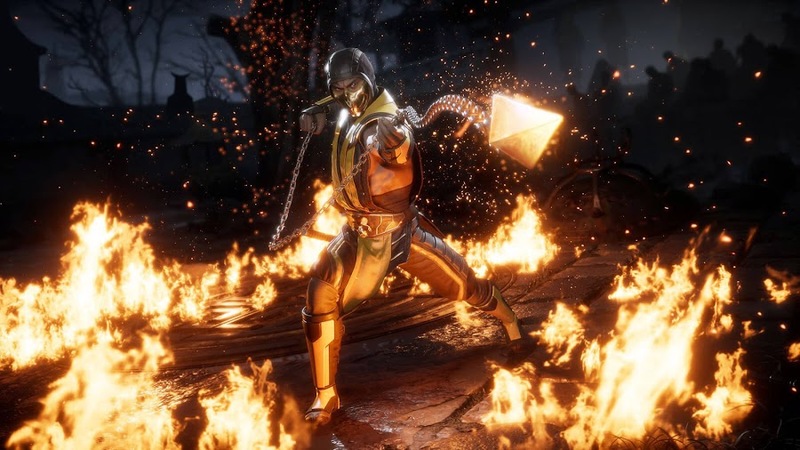 Just like catching lightning in a bottle, NetherRealm Studios has packed 25 years worth of epikness from Mortal Kombat saga into one and came up with Mortal Kombat X for a new generation of fighting game fans and many newcomers. Witness the brilliance of the game firsthand if you haven't before and learn the special attacks and finishing moves to achieve a flawless victory against your opponents! This one is best enjoyed with a bunch of friends who loves the franchise as much as you do. 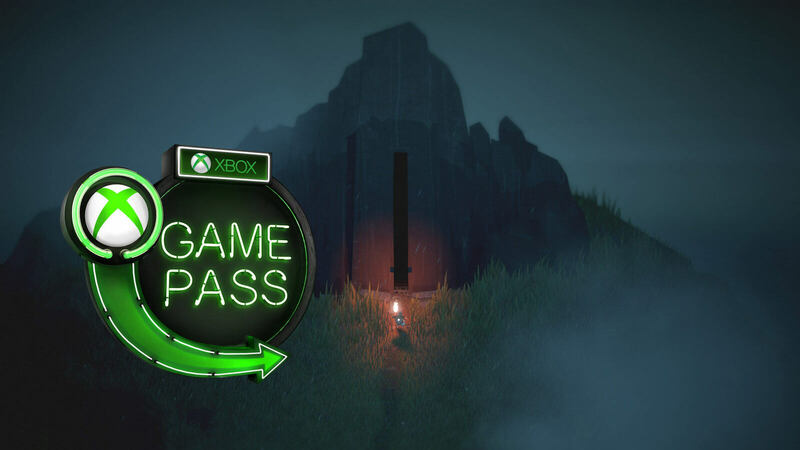 If you ever wondered how a platform-adventure Metroidvania game developed by Moon Studios was picked up by Microsoft Studios and won more than 30 industry awards, you have the chance to find out the answer on December 20, on Xbox Game Pass. Those who care for a great gameplay value with strong storytelling and surprising plot twists will find the game very appealing. The same had happened when it came out back in 2015 and critics couldn't shower it enough with praise for that. Have you ever wondered anyone other than Electronic Arts making sports game and doing a good job at the same time? Well, Konami has been doing that for nearly two decades with PES series and returns in 2018 with football simulation game Pro Evolution Soccer 2019. If the game wasn't already good, a recent update made it even better with the inclusion of stadiums, team kits and a wide range of football boots and balls. 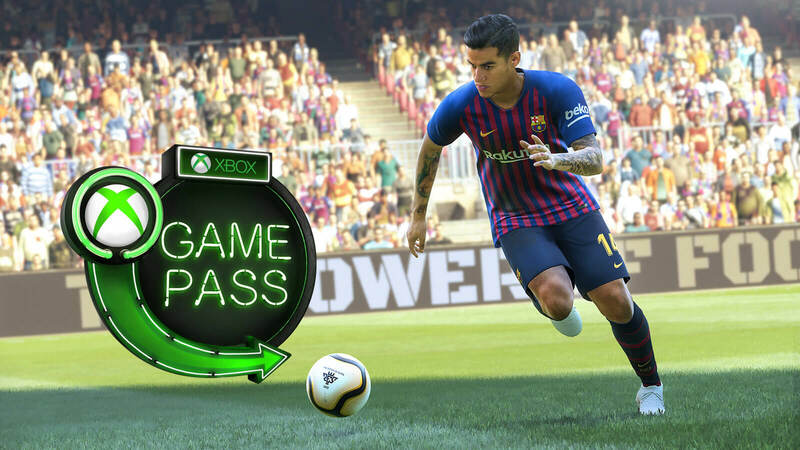 Just about everything you will need to get the best player of PES 2019 award. 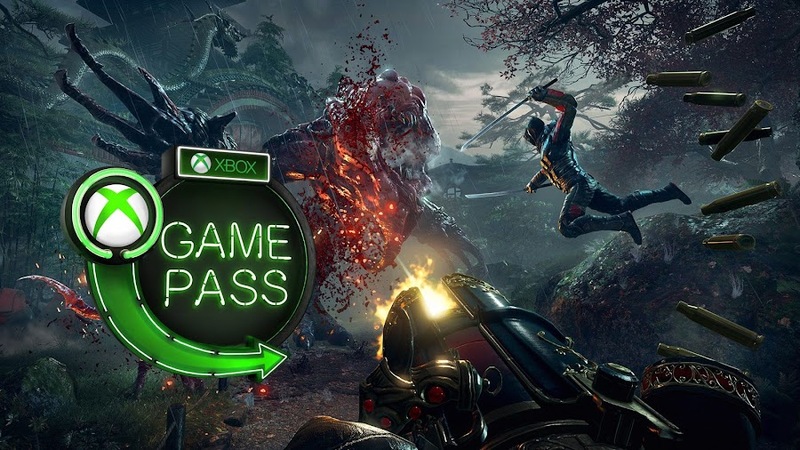 Another not-so-recent game joining the lineup, which is a first-person shooter title or to be more specific, an FPS melee combat experience that lets you wield guns and blades to go up against hordes of evil as Lo Wang, a ninja assassin protagonist. You can either play it in a single-player mode if you are feeling lucky or badass and there is a 4 player co-op mode, allowing more people to join as other ninjas. When you take a task from Yakuza, you think you will be fighting mobs but in SW2, you end up with demonic enemies instead. 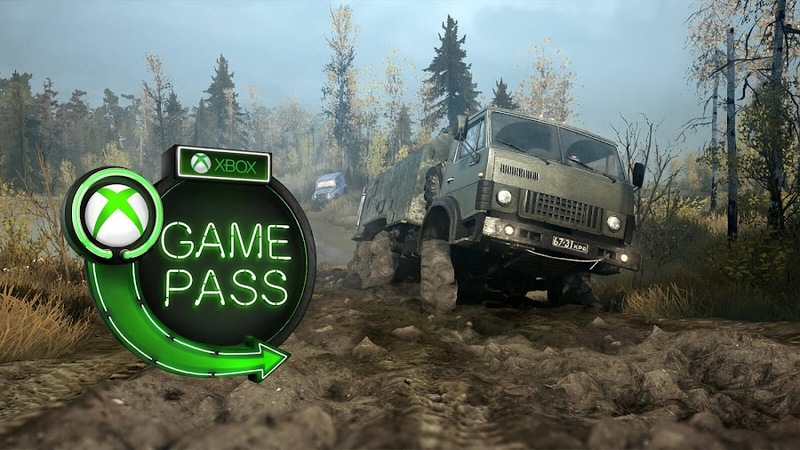 Even in the category of simulation games, off-roading is a less ventured section but this one is worth your time as it sends you to various extreme landscapes with 19 different sorts of formidable, all-terrain vehicles that actually don't defy physics like other games do in general. Though sim games don't always excite a large number of audiences except for the fan-base of the genre, developer Saber Interactive actually made sure that you at least give the title a shot for what it is, or that is what we are led to believe. 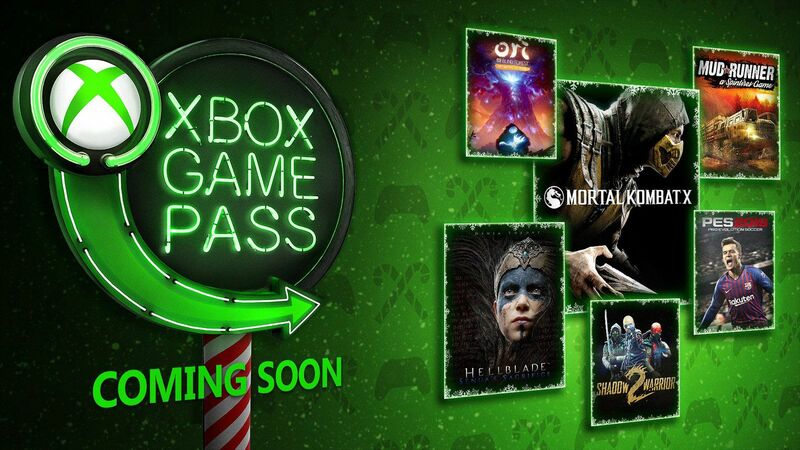 You can get your hands on a great deal of video games that you love on Xbox Game Pass library and even some of the highest-rated Xbox exclusive on release date for a reasonable monthly subscription, which now starts with $1 only for your first month. Clearly, if you are new at this and never tried the service before, this is the right time to pick up your controller and join the wave, because looks like the month of December is going to be a long one in your couch with all these new drops. 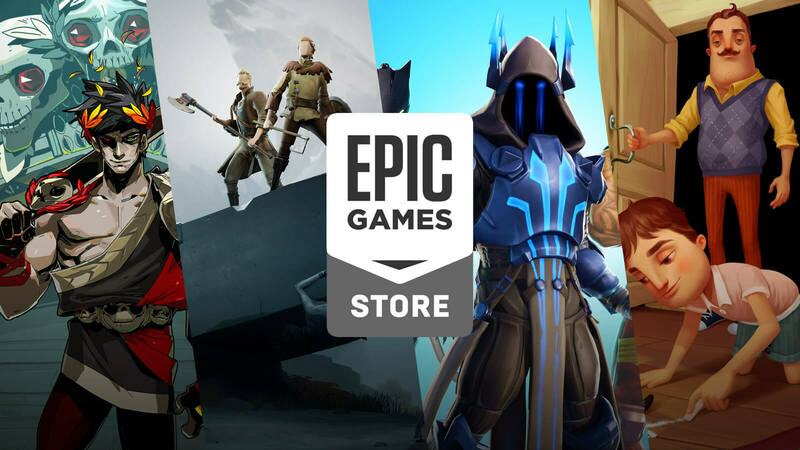 A brand-new trailer featuring all the titles featured on Epic Games Store on launch is revealed at The Game Awards 2018. For the majority of the year 2018, video game developer company Epic Games was in all sorts of news media for the immense success of their free-to-play battle royale game Fortnite Battle Royale that has become a major phenomenon. It was only two days ago when they announced to start a digital distribution service, which seemingly will rival Valve Corporation's digital storefront Steam and now they have released a brand-new trailer to showcase their launch lineup. Let's take a look at the initial lineup of games featured at Epic Games Store during their launch in the following trailer. 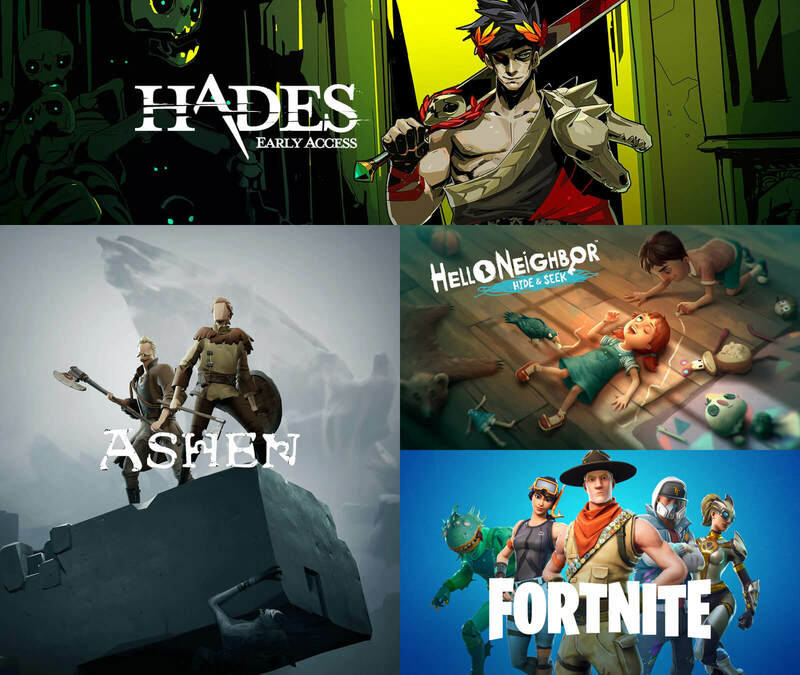 Aside from Fortnite wining over Best Ongoing Game and Best Multiplayer Game category, Epic Games took The Game Awards 2018 show to reveal upcoming titles they are bringing to their store from a renowned bunch of video game companies. 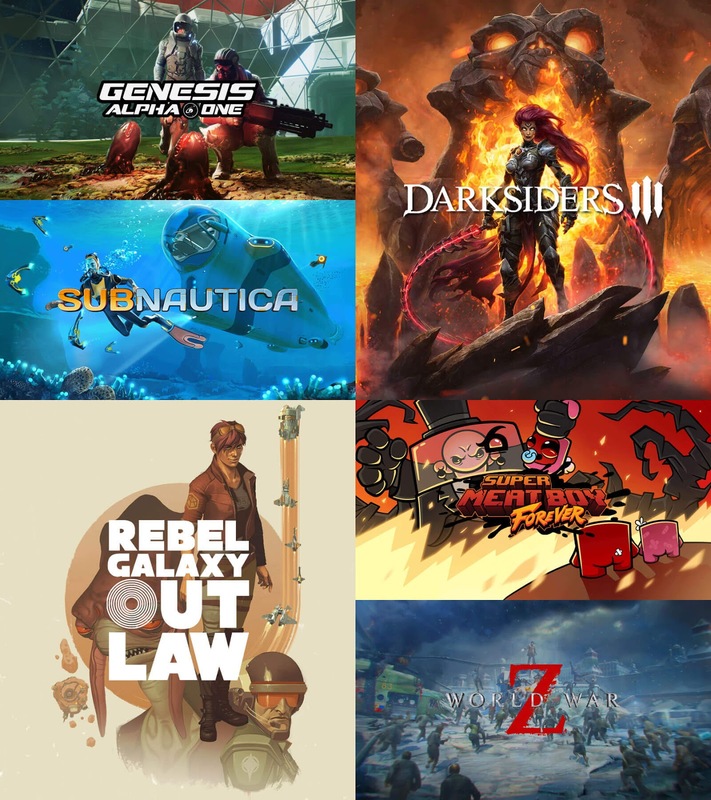 The store rolls in with jam-packed titles like Ashen, Darksiders III, Genesis Alpha One, Hades, Hello Neighbor: Hide and Seek, Journey, Maneater, Outer Wilds, Rebel Galaxy Outlaw, Satisfactory, Subnautica, Super Meat Boy and World War Z. Renowned studios like Annapurna Interactive, Supergiant Games, Team17, THQ Nordic and Tripwire Interactive are joining up the march to give tough competition to other platforms in the market and to make a long-lasting impact at the same time. 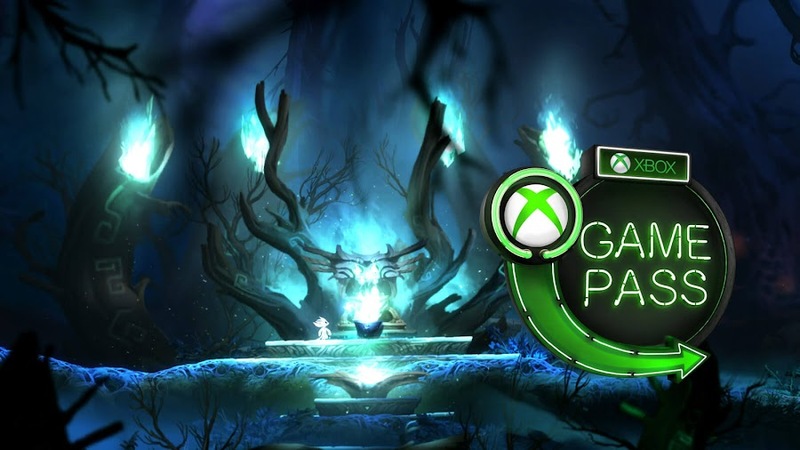 To get into the already dense competition, they already announced staggering 88% sales revenue for publishers who want to launch their tiles with Epic Games Store and even promised to cover the royalty sales percentage for using Unreal Engine in game developing. To make the new marketplace more developer-friendly, Epic is introducing a revenue-sharing system Support-A-Creator, building a bridge between developers and content creators to allow them great access over how to market their product and present to audience. As they already have a history of working on titles like Gears of War trilogy, Unreal Tournament and the over the top success of Fortnite, Epic has re-branded them in the industry with a strong backbone to enter the world of digital distribution business. In recent years, Valve has come under fire for their actions on lack of curation on the platform and Steam Direct program but still considered as a tycoon in the market. CD Projekt tried to venture the industry with their GOG distribution service but couldn't become a worthy rival in a decade. Epic Games has their independent launcher like Activision and Bethesda, which acts as an extension for the store. The upcoming contest over the control of market share in 2019 will be fun to watch as we may witness a shift in power after all these years. Nintendo took the grand stage of The Game Awards 2018 to showcase a brand-new fighter for Super Smash Bros. Ultimate. You might think that by now, you know everything there is to know about the full roster of soon-to-be released crossover fighting game Super Smash Bros. Ultimate because game director Masahiro Sakurai has spilled almost every bean there is know about the title in the last Nintendo Direct. However, there are more characters coming in post-launch period and a day before release, Nintendo revealed the game's 76th fighter at The Game Awards 2018. Joker from one of last year's best JRPG, Persona 5 will be the first DLC fighter for the game. A brand-new trailer was dropped to herald the announcement of the new DLC character during The Game Awards 2018. 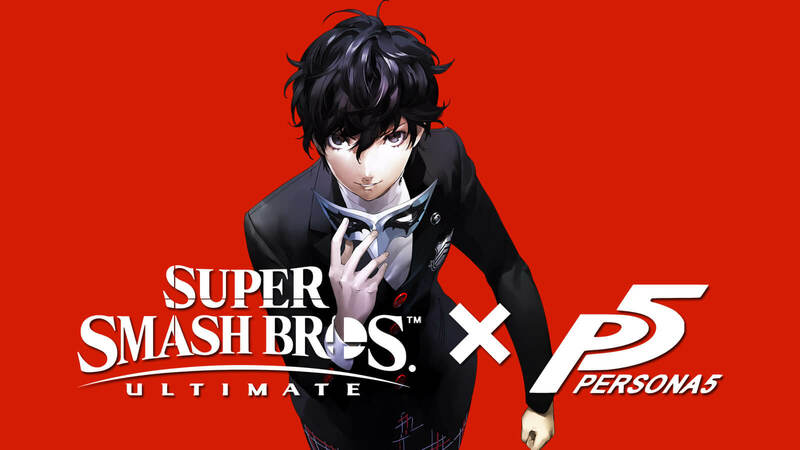 The Phantom Thief lead character from role-playing Persona 5, developed by Atlus, who usually switch to different codenames and costumes when he and his group members explores various realms of Metaverse to solve crimes, will join the roster of SSBU. If things woks out well, the rest of his crews from Phantom Thieves of Hearts can also end up joining the brawl, because no one can possibly tell what Sakurai is cooking in his head and when will he unveil those! He might even end up announcing Waluigi to surprise the fans. Even though players can purchase Joker separately, he also comes as a part of Super Smash Bros. Ultimate Fighter Pass costing $24.99 only. The bundle contains five distinct package comprised of a fighter, a themed-stage and soundtrack. In the early next year, the first DLC pack will come out for Super Smash Bros. Ultimate following the release of Piranha Plant, a pre-order bonus. Also, SSBU is releasing tomorrow, December 7, for Nintendo Switch. So, happy smashing everyone! 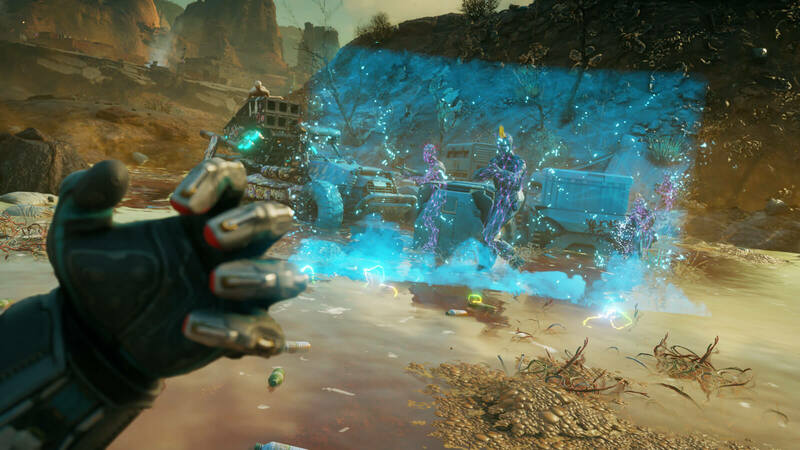 New trailer of RAGE 2 revealed at Game Awards 2018 showcases the open-world wasteland that players will enter on May, 2019. 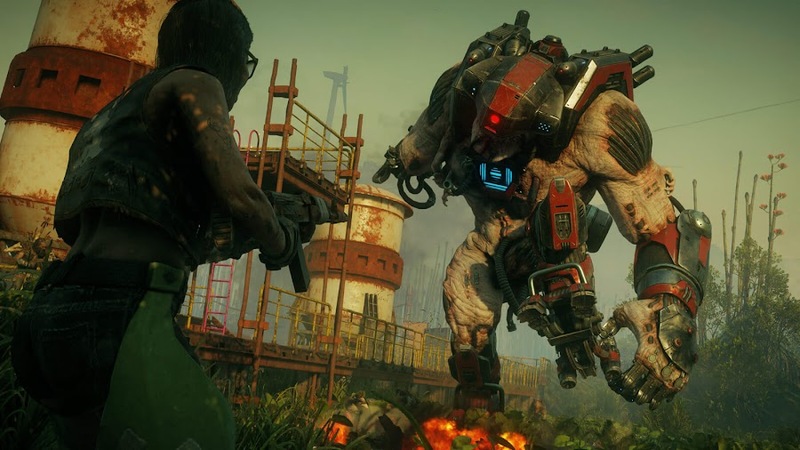 Initially the reveal of upcoming first-person shooter title RAGE 2 was sort of fun filled with the leak from Walmart listing and then the reveal video getting leaked out but the kind of hype came with it kind of died down after the showcase at E3 2018. Now that they are wrapped up launch of Just Cause 4 for Square Enix, developer Avalanche Studios and publisher Bethesda Softworks has released a new gameplay trailer for a game that was long abandoned for years, at The Game Awards 2018. Witness the high-octane, fast paced gameplay trailer of the game that is full of quick time events taking place from in-game world. The protagonist Ranger will go to raid bandit outposts, run races or may destroy a convoy and each time, some new mayhem will present itself for him to take care of and improve his bond with some of the key characters throughout the story. You'd thing that a post-asteroid world would be less crowded but gangs of adrenaline junkies and mutants will prove you wrong. Although a sequel to 2010 release Rage, you will have hard time comparing the tones even though the time has shifted a lot within the game. Another thing that can have you baffled is that where on Earth did these scumbags found all those fancy convoys and guns? Have you seen them in action already? The middle-sized cars that you see around can tear through decent barricades. Factions like Immortal Shrouded and the Goon Squad patrolling the areas will open up opportunities for you to engage in some spectacular vehicular combat. Have we also mentioned about the boomerang weapon called the Wingstick? It is super-awesome! Events will come, enemies will cross path to get into a shootout and you will turn the wasteland into a bloody playground. 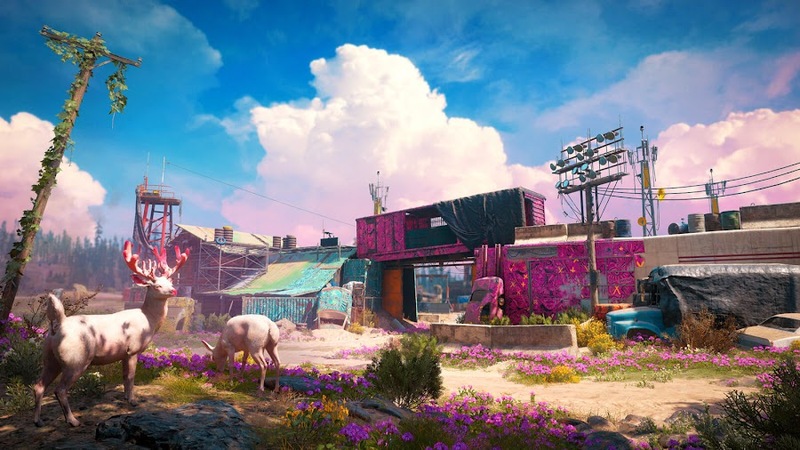 Even with all that guns blazing and limbs of the enemies getting splattered on everywhere, you can realize at one point that a colorful post-apocalypse doesn't look that scary at all. With a massive open-world map that allows you to go anywhere and blow stuff up, all the game lacks at this point is probably a co-op play. And you know what the best part is? There are no load times now! So, go crazy and blow something up! 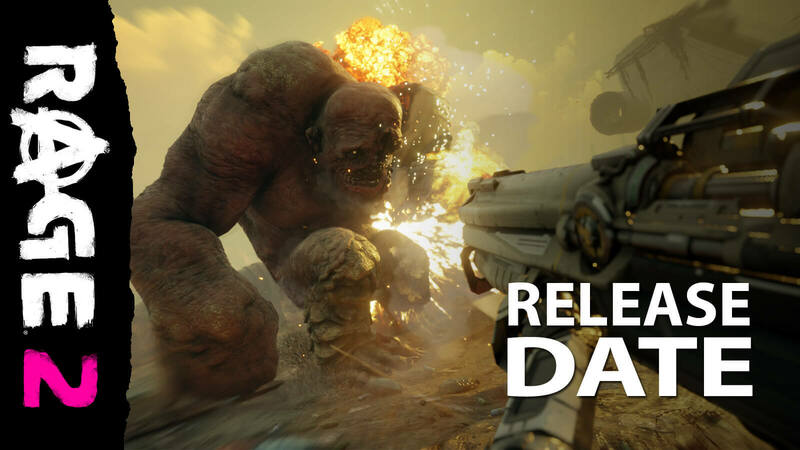 RAGE 2 now has an official launch date of May 14, 2019, when it will be released worldwide on PC, PlayStation 4 and Xbox One. Surprisingly, that is actually pretty sooner that what fans expected and haven't actually hoped anything like it. However, this one is definitely a welcomed one. Bethesda is having a pretty hard time these days following the unsuccessful release of their online action role-playing game Fallout 76 and the PR disasters they are facing for the title on a daily basis. Hopefully, Avalanche Studios can help them redeem themselves from this shipwreck. 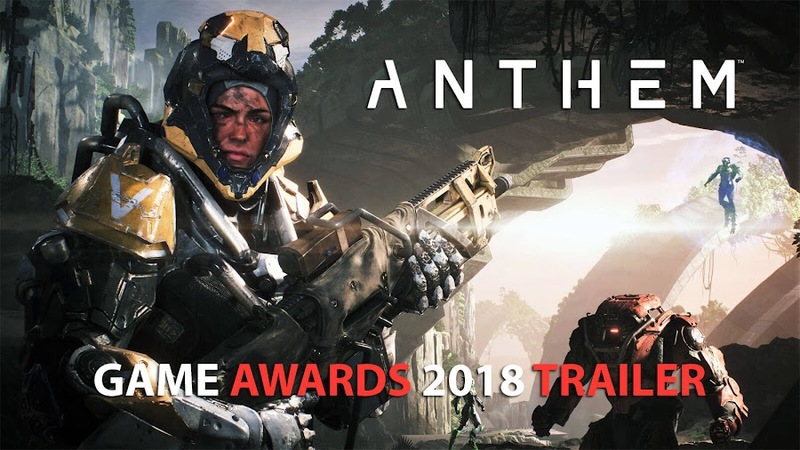 Brand-new footage from BioWare's online multiplayer game Anthem is released at Game Awards 2018. Developer BioWare is returning to race of great game making and helming an ambitious project that is the first new IP for publisher Electronic Arts in a decade. We are talking about upcoming third-person shooter Anthem, which is due to February 22, 2019 for PC, PlayStation 4 and Xbox One. The studio already revealed major gameplay details during E3 2018 and a trailer alongside their stand with cross-play. Recently, they made a show at The Game Awards 2018 by releasing another spectacular video of their anticipated title. The newest official trailer of the game explores further into the story and it offers an extended look into the futuristic world. The video opens up once again on how Freelancers are fighting for generations to keep a remaining part of humanity from the hostility of a world that hides a lot more than it reveals. The Shaper gods that created the world has abandoned the planet long ago. A mysterious force that is known as the Anthem of Creation which surrounds everything and impacts the life of everyone is the main focus of all. Moreover, there is a big-bad guy who seeks that absolute power for him to wield and has some sinister plan in mind for sure. Even though BioWare is renowned for their work on the Dragon Age series and Star Wars: The Old Republic, they failed to live up to expectation with Mass Effect: Andromeda; the last entry in Mass Effect series. However, the game looks promising enough to live up to their name and create its own legacy. The closed alpha will be available later this weekend and the world of Anthem will open up for select players who sign up on the EA community website. Though the alpha program will be limited to some extent, it will be stress testing the servers while tweaking the matchmaking. 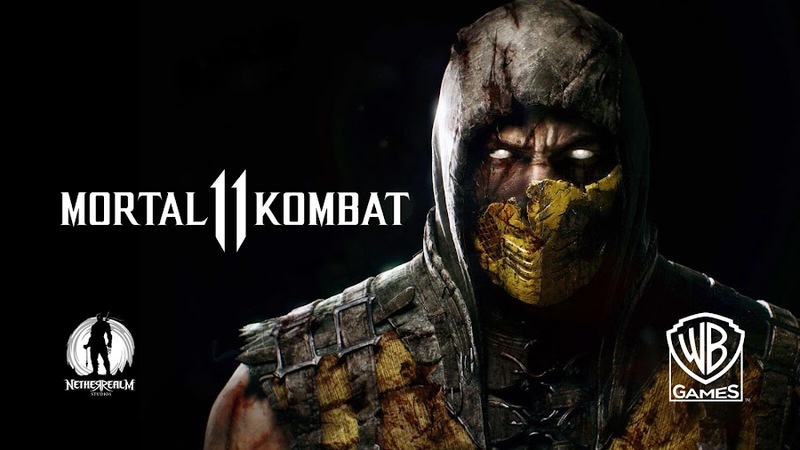 Mortal Kombat 11 is revealed at The Game Awards 2018 and it turns out to be an absolute gore fest between Dark Raiden and Scorpion! Earlier this year, a Tweet from game director Ed Boon of NetherRealm Studios started speculation that he may have teased upcoming release of Mortal Kombat fighting game series, Mortal Kombat XI and it will be revealed on E3 2018 but never happened anyway. A few weeks ago from today, voice actor Eduardo Garza blasts his frustration on Twitter for being removed from the project, which may or may not be MKXI but surely is the next installment and everyone believed the title will be announced at The Game Awards 2018. 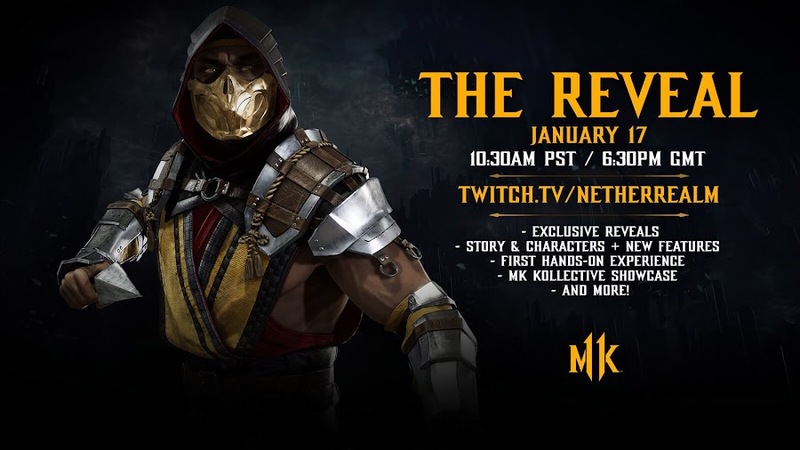 So, here we are now to witness the world premiere trailer of Mortal Kombat 11 in its gory glory and intensity of the iconic franchise. The trailer opens up on a destroyed Courtyard full of charred corpse of monks at night and then two fighters collide in air from both sides out of nowhere. We see Scorpion grabbing Raiden in mid-air and pinning down to the ground before stabbing him with a katana blade. The God of Thunder stands up to return the favor and impales his opponent with a lightning spear after landing some serious blow of combos. On the background of this extreme beat down, a hip-hop track titled "Immortal" by 21 Savage is playing. The resurrected ninja then gets up to his feet to apparently stab the Elder God on his face and then delivering his famous spear attack. Raiden fights back by crushing the hard-shell face of his enemy and then blasted his head with a concentrated electric charge. He turns around to see another version of the undead assassin entering the arena and goes up in flame to fly straight through the protector of Earthrealm. Scorpion then beheaded Dark Raiden and throws his spear into the head, thus finishing him off for a flawless victory. For curious minds, Raiden going to the dark side is a clear sign that the game picks up from the cliffhanger ending of Mortal Kombat X, where he warned to the new rulers of Netherrealm or to any invaders that he won't be as merciful as everyone knows him to be. 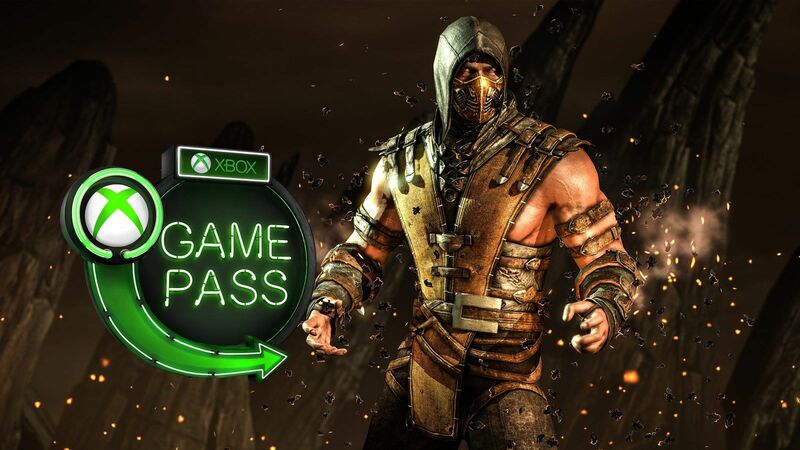 As for the two different iteration of Scorpion appearing, we believe the plot of MK11 either has some twist regarding Multiverse colliding or maybe the characters are going back and forth in time for some still undisclosed reason. Also, the ending of the trailer shows a glimpse of another female character, whose role in the story is yet to be revealed. Recurring antagonist Shao Kahn is returning to the game as a pre-order bonus character and will join the beta testing phase. Developers have introduced a Custom Character Variation System that will grant players control to customize the fighters and some familiar face will come back too. A community event will take place on January 17 at 11 AM PST and more details on the title will come out eventually. Mortal Kombat 11 will be released on April 23, 2019 for Nintendo Switch, PC, PlayStation 4 and Xbox One. Previously characters from the game have appeared on Injustice: Gods Among Us and we believe somewhere along the line they may introduce some Injustice 2 characters in a future DLC as well. For more than decades, the series has been one of the most popular among fighting game genre and features some of the most iconic warriors that ever stepped into an arena. Seeing it all return with a strong follow-up definitely gives us the chills down the spine. Ubisoft takes the stage of The Game Awards 2018 to announce Far Cry New Dawn in a post-nuclear playground. 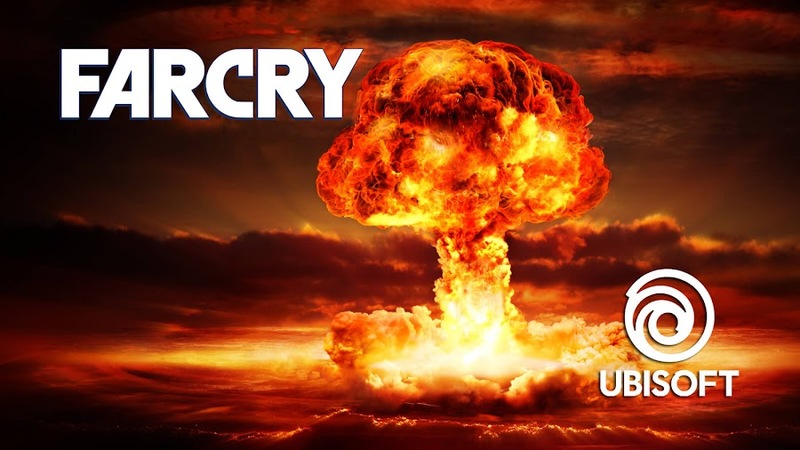 Just a day before the event of The Game Awards 2018, developer/publisher Ubisoft decided to drop a teaser for their next ambitions chapter of Far Cry series, which is one of their most critically-lauded franchises of first-person shooter titles. The internet was quick to point out the teaser trailer probably is hinting at the endings of Far Cry 5, the latest standalone title in the series and guess what? They were actually right. 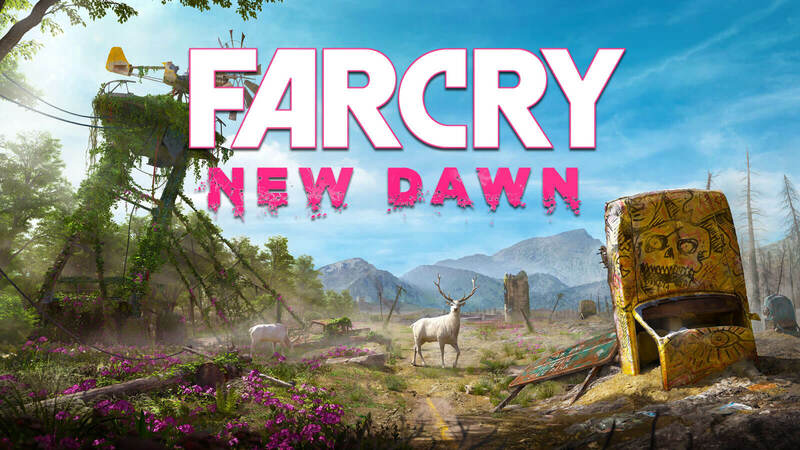 The newest standalone sequel to FC5 is announced, titled Far Cry New Dawn. 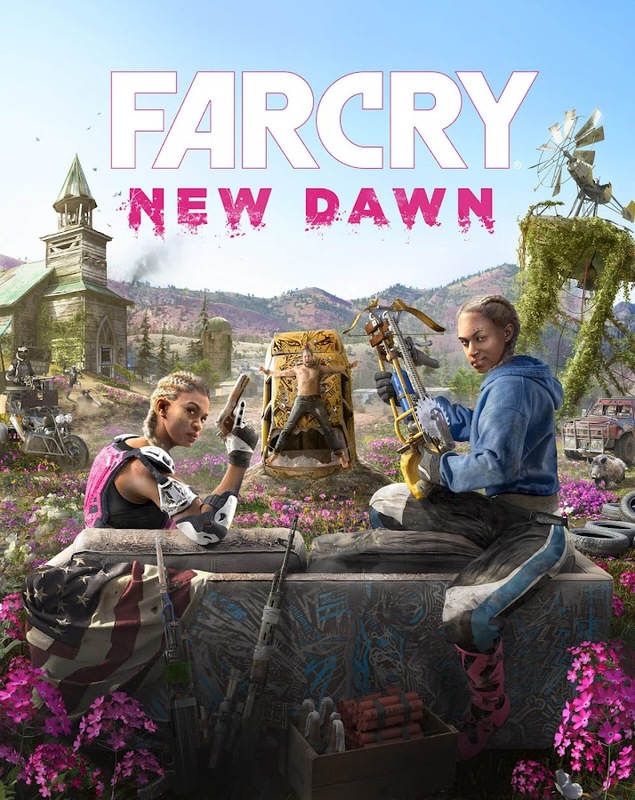 Now watch out for the world premiere of upcoming Far Cry New Dawn and take a look at the gameplay as well. Hope County is not anything like you used to know before and turned into something entirely different. Seventeen years after a nuclear meltdown, the world has changed and this direct sequel to previous installment actually comes back in a vibrant new world. You'd think that a world-ending level of catastrophe will leave the place in dust but nature worked its magic and bounced back a colorful superbloom to the place. A new community is build but it is threatened by a scavenger's gang called Highwaymen led by twin sisters, Mickey and Lou. When the unforeseen event took place, the twins were just kids and they learned about the harsh reality of growing up in a wasteland frontier. They formed this vicious gang of like-minded looters who lives life like there is no tomorrow. These nomadic savages move from one place to another within the countryside, take resources for themselves from anywhere they can find and kills or take people into the group when they came across in way of their journey. Doing what they do in general, they finally arrived back in Hope County and the survivors of the ruined town would need help from players to withstand the tyrannical oppression the Highwaymen are about to inflict on them. Aside from shooting guns, you will need to work with the survivors to make a Homebase, where you craft makeshift weapons and train hired guns and fangs like Timber as you have before as Boomer. You are back into the Mad Max-esque world if you are wondering. 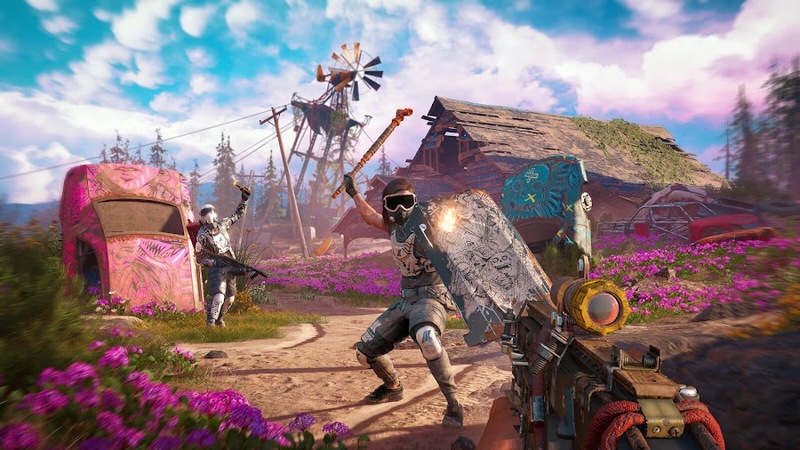 Currently scheduled to release on February 15, 2019, Far Cry New Dawn will see launch on PC, PlayStation 4 and Xbox One for the price of $39.99 only. Explore and survive in a post-apocalyptic world to re-purpose resources for leading a fight against the marauders. On surface, the game seems to have a smaller-scale premise even for a sequel, something similar to the spin-off release Far Cry 3: Blood Dragon. What we can see so far is that it looks like a newly designed Fallout game foundation with revamped elements of RAGE 2. Ubisoft goes full post-apocalyptic with Far Cry series in a new teaser trailer for The Game Awards 2018. The latest installment of action-adventure first-person shooter game series Far Cry from developer/publisher Ubisoft was Far Cry 5 that came out earlier this year and became one of the fastest-selling games of the franchise despite controversy. Now, ahead of The Game Awards 2018, Ubisoft has unveiled a brand-new cinematic trailer for their upcoming project as a follow-up to the series that has a post-apocalyptic vibe. Though the video doesn't give away much, we can still sum up a few part on our own. 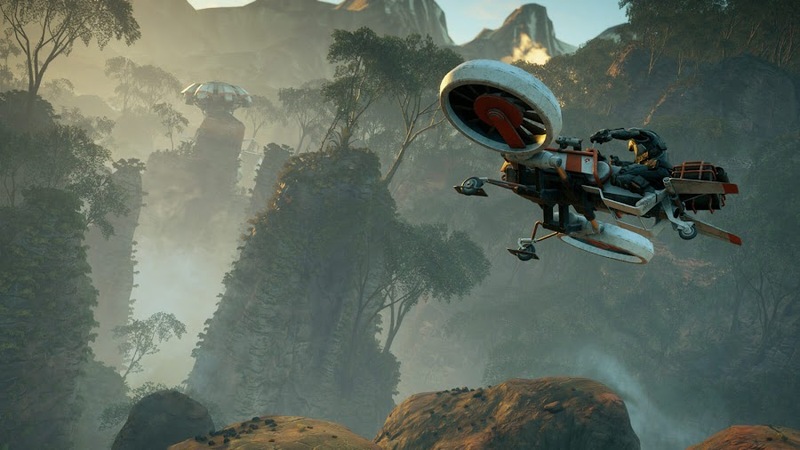 Take a look at this video of upcoming Far Cry project/sequel with a short narrative below released this afternoon. Though, we don't have much details on our hand to work with, the teaser surely looks like it is connected to FC5 and may even serve up a follow-up sequel, whereas all of the previous games from the series came out as standalone releases. The opening shot of the teaser shows us a farmhouse across wheat fields and mountains in the distance, which has a striking resemblance to Hope County, Montana. Then a sudden nuclear explosion goes off on the horizon with a blinding light and a mushroom cloud blooming. WARNING: THE FOLLOWING CONTAINS POTENTIAL SPOILERS FOR FAR CRY 5. Everything goes up in flame and the wheat fields get destroyed as we see it happen in slow motion. Then years after, that place saw blue sky but the world that emerged from the husk of the old one is not the one that had any hope in it. You cannot make something concrete out of these vague images for sure but the nuclear meltdown event most probably is the one we saw from the ending of Far Cry 5. It seems that a mixture of Fallout and RAGE 2 is coming this way by the looks of it. Now, we will have to wait some more to get a full reveal of the new game at The Game Awards event to know whether Ubisoft is sending players on post-apocalyptic journey into post-nuclear Montana by moving far from the rest of the series or go to another direction. Taking in account that it hasn't been a full year since Far Cry 5 was released and launching multiple DLC packs already, the company is ready to work with the same IP is quite interesting. We just hope the reveal excites us and everyone in the end by offering fans another spectacular open-world sandbox.